Whether you need to cut firewood or to clear a fallen tree, a good chainsaw can prove to be an invaluable tool for making quick work of some difficult lumber. If you don't know where to start in your search for the ideal chainsaw, Wise Bread is here to help you cut to the chase with our list of the top five chainsaws. A chainsaw is a portable, mechanical, power-driven cutting tool with small sharp cutting teeth set along a metal chain that revolves around the edge of a blade. There are three types of chainsaws based on their power source: gas, electric, and cordless electric. 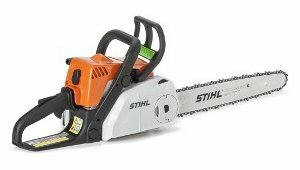 Gas-powered chainsaws are the most powerful and most versatile type, since they aren't restricted by cord length and don't have batteries that need to be recharged. However, they're also the loudest and are the only ones that can't be used indoors due to their exhaust emissions. Electric chainsaws have the benefit of being quieter and easier to use, but they're limited to non-wet environments and by their cord length, which is usually about 100 feet. Cordless electric chainsaws are powered by an internal battery pack, which allows them to be lighter and more portable. They may be the least powerful type, but they are also the most convenient to use and environmentally safe. Speed, power, noise, and safety are the primary factors that you should consider when picking out a chainsaw. 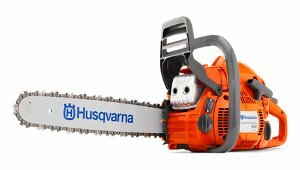 If power is the most important factor for you in a chainsaw, then look no further than the Husqvarna 450, which received Consumer Search top recommendation. The 450 comes packed with a 3.2 horsepower, 50.2 cc X-Torq motor that not only is fast and powerful enough to slice through thick wood with amazing ease, but also makes the chainsaw more efficient and eco-friendly by reducing its exhaust emissions and fuel intake. Despite having all that power, users have reported that the 450 is surprisingly light and easy to handle, although hearing protection is recommended when using this chainsaw as the noise level peaks at 100 decibels. It's also easier to start up than most gas chainsaws. Its safety features include an inertia-activated chain brake and an anti-vibration handle. However, the 450 isn't without its problems, with some users reporting that it tends to throw its chain from time to time and can clog when sawdust mixes with the chain oil. But if power is what you want, then the Husqvarna 450 delivers that in spades. The Stihl MS 180 C-BE is a Consumer Reports Best Buy that is ideal for buyers who desire a gas chainsaw that's as convenient and easy to use as it is powerful. The main advantages of the MS 180 C-BE is its Easy2Start system, which makes turning on the chainsaw an almost effortless process, and its Quick Chain Adjuster mechanism, which allows for quick and simple chain adjustments without the need for any additional tools. Beyond that, the MS 180 C-BE provides impressively fast cutting that easily slices through wood up to 12 inches in diameter and comes with an automatic chain oiling system to help with maintaining the chainsaw. It also has some great safety features as well, including an anti-vibration handle and a kickback sensor that triggers the chain brake in the case of a malfunction. Overall, the Stihl MS 180 C-BE justifies its premium cost with its incredible combination of convenience and power. 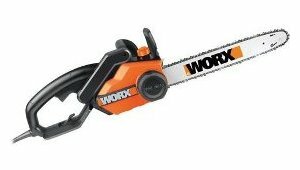 The Worx WG303.1 is both a Consumer Reports and Consumer Search top pick that packs a surprising amount of power for an electric chainsaw. Its 3.5-horsepower, 14.5-amp motor bestows the WG303.1 with as much power as a light-duty gas chainsaw and allows it to cut through 15-inch logs with ease. And yet, it still remains fairly quiet and lightweight with zero emissions thanks to its electric motor. A quick-stop safety brake is included on the chainsaw for extra safety along with durable blade cover for safe storage. The WG303.1 also comes with an auto-tensioning chain and an automatic oiler, which helps maintain the chainsaw overall, but users have said that the auto oiler tends to eat up a lot of oil too quickly. While it is restricted by its cord length and lacks any vibration isolation, the Worx WG303.1 remains an excellent, low-priced option for those looking for an eco-friendly, yet powerful electric chainsaw. 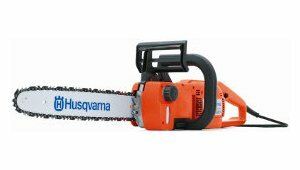 If noise is your biggest concern when it comes to a chainsaw's performance, then the amazingly quiet Husqvarna 316E would be the best choice for you. As a Consumer Search top pick, the 316E is hands-down one of the quietest models you can buy, with many users vouching for its amazingly noiseless performance. It's all thanks to its 13-amp inline motor, which also provides enough power to make it a very strong and efficient cutter while keeping it lightweight and emission-free. The 316E also comes with some excellent safety features, including a low-kickback bar and chain, an anti-vibration handle, and a chain lock that prevents accidental start-ups, as well as a chain brake that is activated by impacts and inertia. As with most electric chainsaws, its cord prevents you from straying too far away from your power source, but it's a small price to pay for the impressive package that the Husqvarna 316E provides. When it comes to cordless electric chainsaws, the Oregon Powernow CS250, which is another Consumer Search recommended choice, stands out from the rest with its impressive power output and superb safety features. Its 40-volt, 2300-rpm motor provides enough brute power to cut through small trees and enough battery power to last up to 60 minutes of continuous cutting. The CS250 retains the quiet, emissions-free performance of the corded electric models and increases portability through its cordless design. It also comes with a built-in automatic sharpener and automatic oiler for the chain, but you'll need a screwdriver to adjust the chain's tension. The CS250's standout safety feature is its deadman trigger chain brake, which shuts down the chainsaw immediately if it's released. The trigger also allows the chainsaw to start up immediately as well, with no cord pulling needed. Certain parts of this chainsaw may be difficult and expensive to replace when needed. 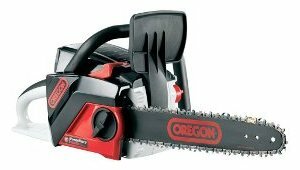 But on the whole, the Oregon Powernow CS250 remains a compelling choice for those looking for a mighty and dynamic chainsaw. And those are our recommendations for the best chainsaws! As always, be sure to check out the Wise Bread Shopping Calendar to learn when and how to buy just about anything! In my humble homeowner opinion, there are two good chain saws on the market today. Stihl and Husqvarna. The Husky 450 is an excellent medium size saw for the homeowner like me. I like the saw because it is easy to start, quiet and powerful. I would recommend it to anyone. The 18 inch bar works for the size tree I typically cut. I keep the chains sharp and have several on hand to change in the field. The bar tool comes with the saw for easy chain changeout. My two sons also use the saw and rate it as highly as I do!